It appears that the days for trouble of alleged cheapest phone “Freedom 251” “maker Ringing Bells” are not over yet and the fresh controversy for the company is in form of FIR filed against them recently. A FIR was filed at Noida Phase 3 police station on a complaint filed by BJP MP Kirit Somaiya Tuesday night against the company’s director Mohit Goel and president Ashok Chaddha for alleged cheating and duping common men. Fir against Ringing bells directors and president. 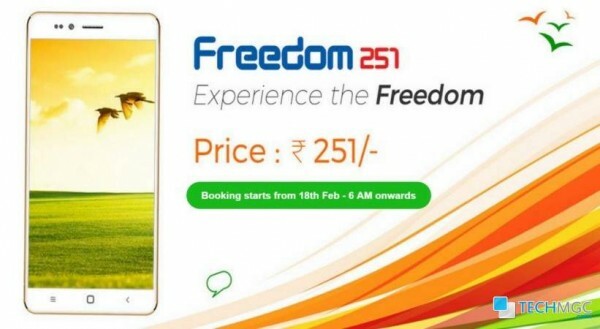 Ringing Bells had promised world’s cheapest smart phone as “Freedom 251” earlier this year and was taken by storm with Ringing Bells receiving about seven crore bookings with 30,000 successful payments for Freedom 251. This not only brought company in national as well as international limelight overnight but also raised suspicion over company’s intention. There were series of issues which followed them including ill designed website, outage on the first day of booking, circulating rebranded “Adcom” handset for preview among few. Later their call center partner also complaint against them for not clearing their dues and voiding the contract. Now to further make things troublesome for them, they have fresh police investigation against them. As per reports in Hindustan Times, a team has been appointed to investigate the case, which would involve Ringing Bells to submit necessary documents and show the manufacturing units of the phone to police. A preliminary probe found the MP’s FIR a fit for further investigation which means there is no easy road ahead for the company. The charges Goel and Chaddha face are filed under section 420 of the Indian Penal Code for cheating, among others, that involve forgery and misleading the common men, small investors and people of India, India Times reported. In company said that it would deliver the first batch of 50 lakh Freedom 251 smartphones to customers by June 30, 2016. After facing a lot of criticism, the company issued refunds for 30,000 transactions made by early buyers and chose to have cash-on-delivery system to avoid further build-up of suspicions. Company is continuously promising to deliver the phone however, as per information available, they are yet to make manufacture any phone, nor they have any contract with any OEM provider.